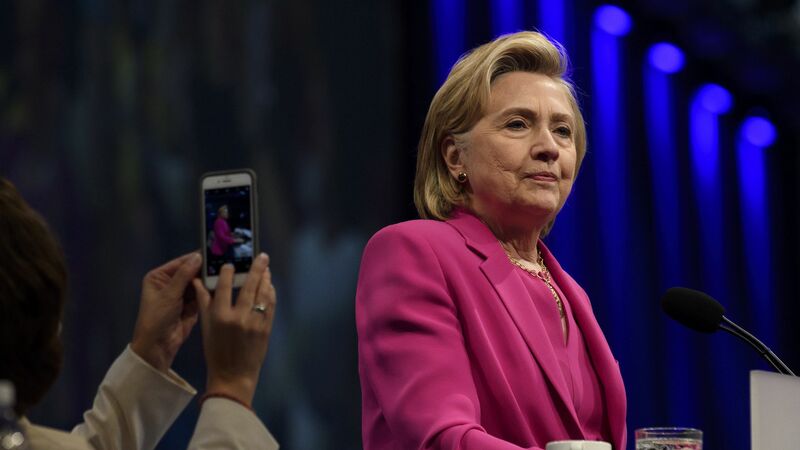 Hillary Clinton: Europe "needs to get a handle on migration"
Hillary Clinton told the Guardian that Europe "needs to get a handle on migration," and that leaders must send a message that "we are not going to be able to continue to provide refuge and support." Why it matters: Europe's refugee situation is a topic that President Trump has talked about frequently, pointing to it as a reason to cut off refugee intake in the U.S. But Clinton criticized Trump's "use of immigrants as a political device and as a symbol of government gone wrong."